Global consultancy firm Willis Towers Watson (WTW) has adopted a dual approach to long-term asset return modeling which offers investors differing views of the future based on the ‘new normal’ or traditional assumptions. 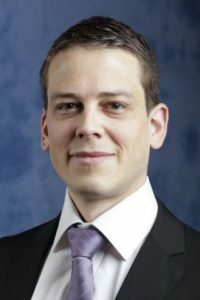 The strategic shift will see WTW publish its ‘alternative’ asset pricing model – established for in-house purposes in 2011 as a “possible, but relatively unlikely representation of the likely range of outcomes” – along with the old-school version based on an assumption asset prices will converge on long-term historical trends. Following the changes, the alternative asset model will be known under the ‘Lower for longer’ title while the traditional approach will appear as ‘Yield reversion’, according to a WTW paper published last week. The paper says since creating the now ‘Lower for longer’ projections for internal purposes in 2011, WTW had developed increasing conviction in the alternative model. In fact, the ‘Lower for longer’ model was now the preferred approach for the WTW global investment committee, which has a 60 per cent conviction in its assumptions, the report says. “Over time, our conviction in the assumption that yields will revert to historical norms over the next 10-15 years has decreased and we now believe that this is an appropriate time to review the process by which we set our asset class assumptions and the long-term expectations that are incorporated into our asset model,” the WTW paper says. Under the ‘Lower for longer’ scenario both long-term cash rates and the equity risk premium would fall by 1 per cent compared to the more optimistic ‘Yield reversion’ model, WTW says, with the expected equity return dropping by 2 per cent (falling from 9 per cent to 7 per cent in Australian terms). The WTW paper says the choice of model would have a material effect on investor asset allocation strategies. Ben Trollip, consultant with Melville Jessup Weaver (MJW), WTW’s NZ alliance partner, said the dual approach essentially offers investors a choice based on an “optimistic or pessimistic” view of the future. Trollip, took over from the now-departed MJW principal, Mark Weaver, last month following a four-year stint at the Sydney WTW office. However, Trollip said the WTW change would not feed directly into the MJW modeling approach, which the NZ firm performs independently. According to the WTW paper, investors should select their preferred asset model based on their own investment beliefs and time-frames. have a materially more optimistic view of economic outcomes than what is currently discounted in market prices. believe that economic outcomes are likely to remain muted over the medium to long-term. Last month WTW, which formed last year following the merger of global insurance broking firm Willis and Towers Watson, named Andrew Boal as head of its Australian business. Boal, previously managing director of Towers Watson Australia, replaced ex Willis Australia chief, Tony Barber, in the role. Barber resigned after just six months in the plum WTW job to take up the position of chair of speciality in Australia with insurance firm Jardine Lloyd Thompson Group (JLT).